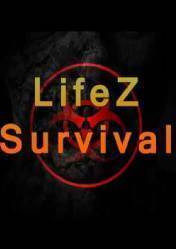 Attention This version of LifeZ Survival is for PC and digital version. The digital versions of PC games are in the form of a key or cd key, which must be entered into a Steam account to proceed with the download of the game. Some stores may have the "Steam Gift" label which means that an activation link will be sent instead of a cd key. LifeZ Survival is a third-person survival, in which we build our own hiding places, extract resources, collect food and water, and at the same time deal with all kinds of legions of zombies. We are in a disaster zone, a world in deep crisis. In the hope that the crisis would not spread any further, an enormous wall was built to lock up a part of the world that became chaotic. We are within the limits of that wall and everything that goes on in here is brutal. We will have to find a way to contact those on the other side and get out of here, at any price. It must inform the rest of the world of the danger that lies within the area and survive at all costs. There are no comments yet about LifeZ Survival. You can be the first one!